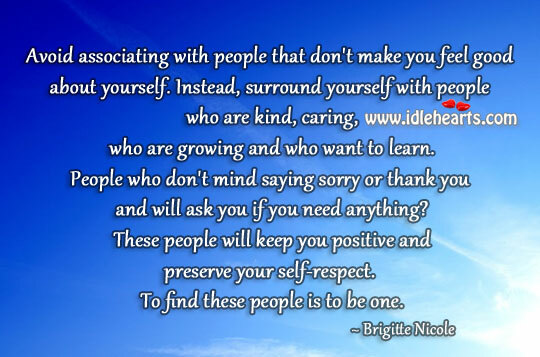 Enjoy the best inspirational, motivational, positive, funny and famous quotes by Brigitte Nicole. Use words and picture quotations to push forward and inspire you keep going in life! 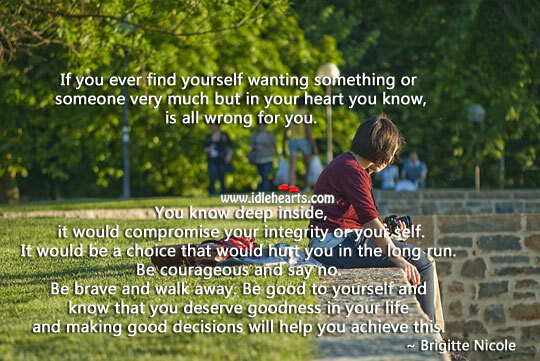 If you ever find yourself wanting something or someone very much but in your heart you know, is all wrong for you. You know deep inside, it would compromise your integrity or your self. It would be a choice that would hurt you in the long run. Be courageous and say no. Be brave and walk away. Be good to yourself and know that you deserve goodness in your life and making good decisions will help you achieve this. 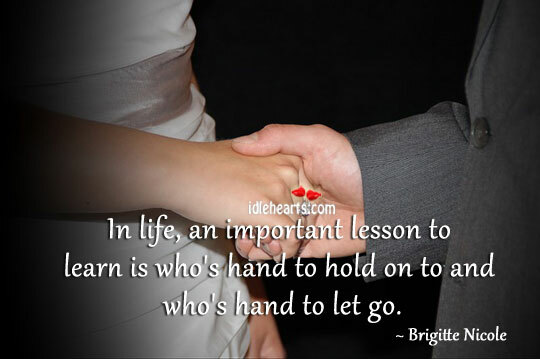 In life, an important lesson to learn is who's hand to hold on to and who's hand to let go. 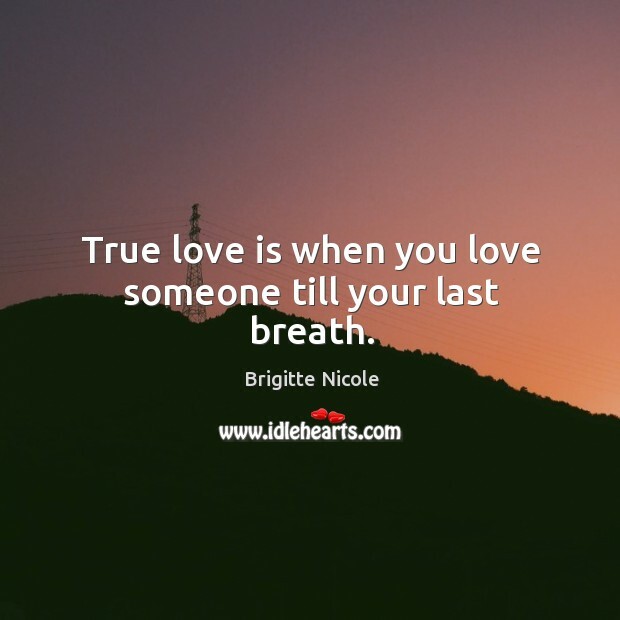 True love is when you love someone till your last breath. 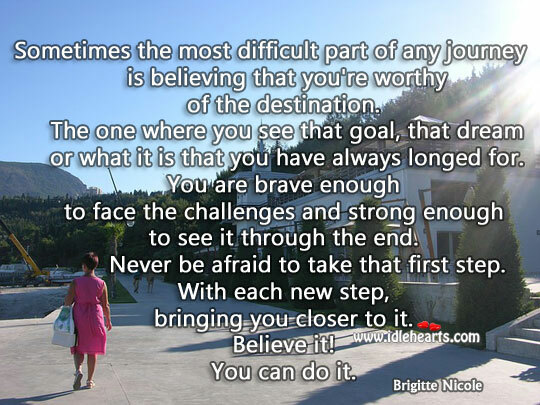 Sometimes the most difficult part of any journey is believing that you're worthy of the destination. The one where you see that goal, that dream or what it is that you have always longed for. You are brave enough to face the challenges and strong enough to see it through the end. Never be afraid to take that first step. With each new step, bringing you closer to it. Believe it! You can do it. 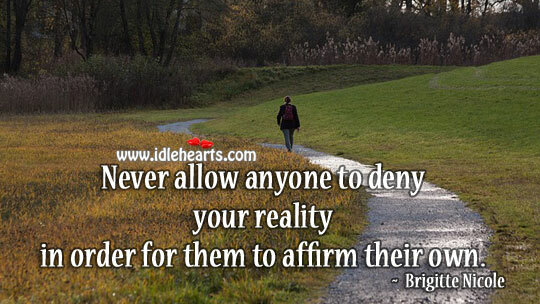 Never allow anyone to deny your reality in order for them to affirm their own. If the person you are talking to, doesn't appear to be listening, be patient. 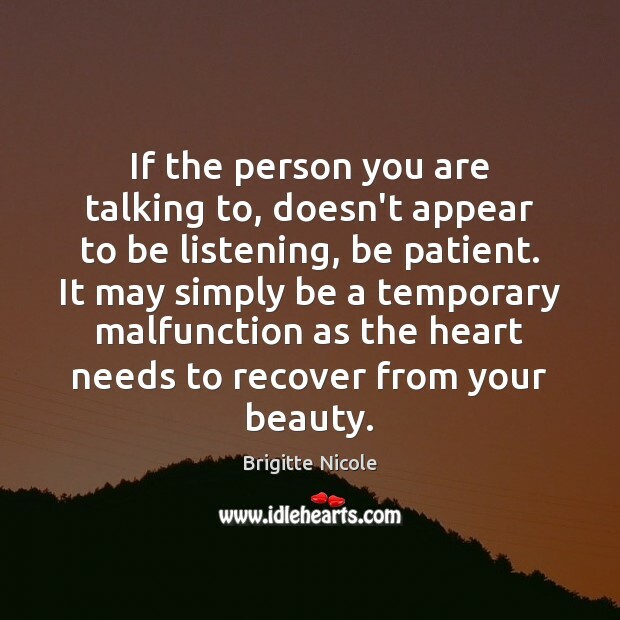 It may simply be a temporary malfunction as the heart needs to recover from your beauty. One of the most courageous decision you'll ever make is to finally let go of what is hurting your heart and soul. Like a crime scene, do not give others, the Opportunity, the Motive nor the Means to commit a hurtful act upon you. Your best Alibi is to surround yourself with the people that care for you and to be kind to others. 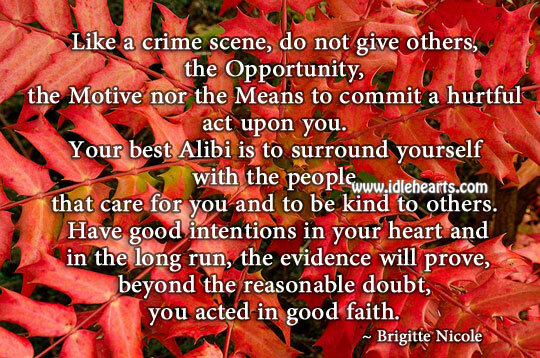 Have good intentions in your heart and in the long run, the evidence will prove, beyond the reasonable doubt, you acted in good faith. 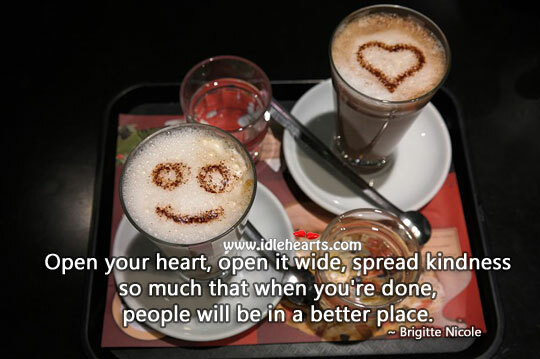 Open your heart, open it wide, spread kindness so much that when you're done, people will be in a better place. 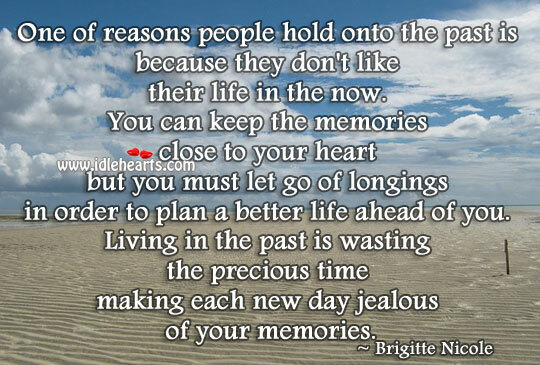 One of reasons people hold onto the past is because they don't like their life in the now. You can keep the memories close to your heart but you must let go of longings in order to plan a better life ahead of you. Living in the past is wasting the precious time making each new day jealous of your memories. 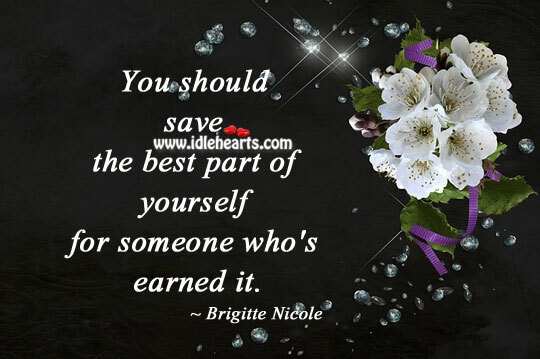 You should save the best part of yourself for someone who's earned it. Assumptions can be a hurtful thing. 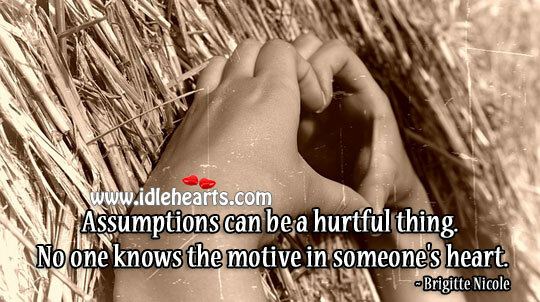 No one knows the motive in someone's heart. 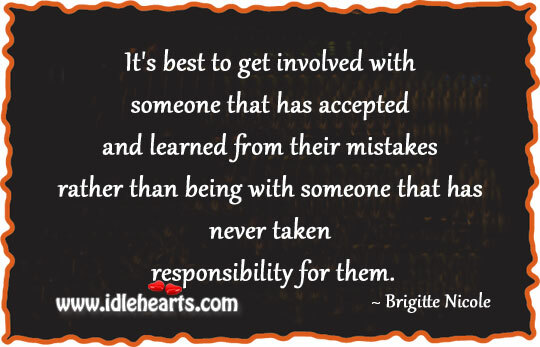 It's best to get involved with someone that has accepted and learned from their mistakes rather than being with someone that has never taken responsibility for them. Avoid associating with people that don't make you feel good about yourself. Instead, surround yourself with people who are kind, caring, who are growing and who want to learn. People who don't mind saying sorry or thank you and will ask you if you need anything? These people will keep you positive and preserve your self-respect. To find these people is to be one. I am grateful for those who led me to discover the precious and valuable things about myself. A place in my soul, that I would of never been able to reach without them. 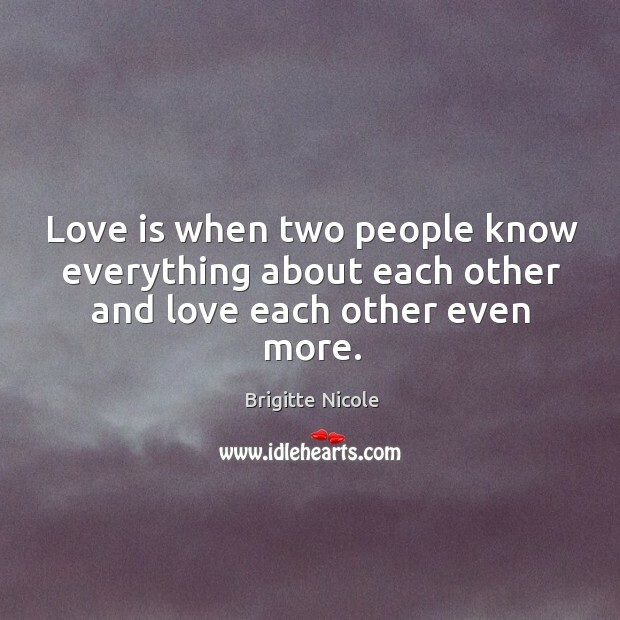 Love is when two people know everything about each other and love each other even more. 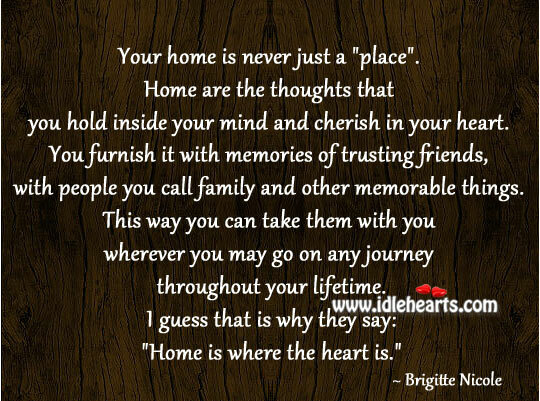 Your home is never just a "place". Home are the thoughts that you hold inside your mind and cherish in your heart. You furnish it with memories of trusting friends, with people you call family and other memorable things. This way you can take them with you wherever you may go on any journey throughout your lifetime. I guess that is why they say: "Home is where the heart is."